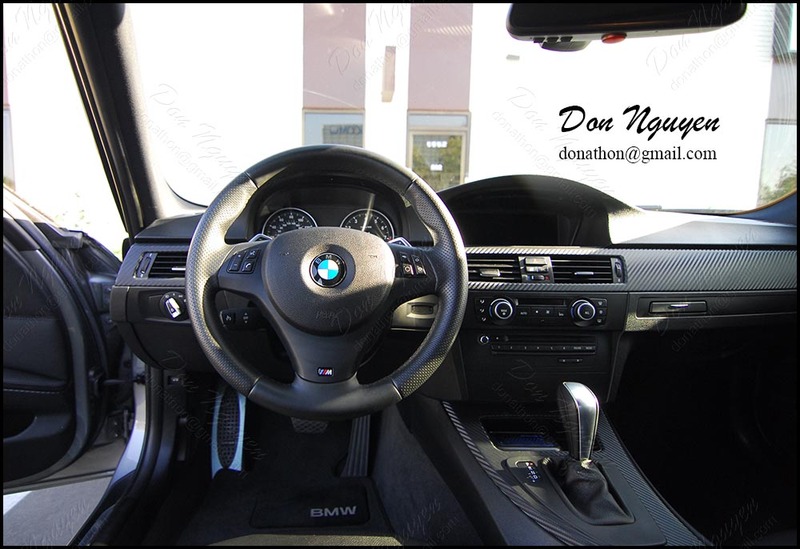 The owner of this car had recently purchased this BMW E92 328i coupe, but he did not like the way the wood interior looked on his car, so he came by to have me apply the 3M Di-Noc matte carbon fiber vinyl material over the interior wood trim of his car. The difference was night and day, completely changing the look of his interior. 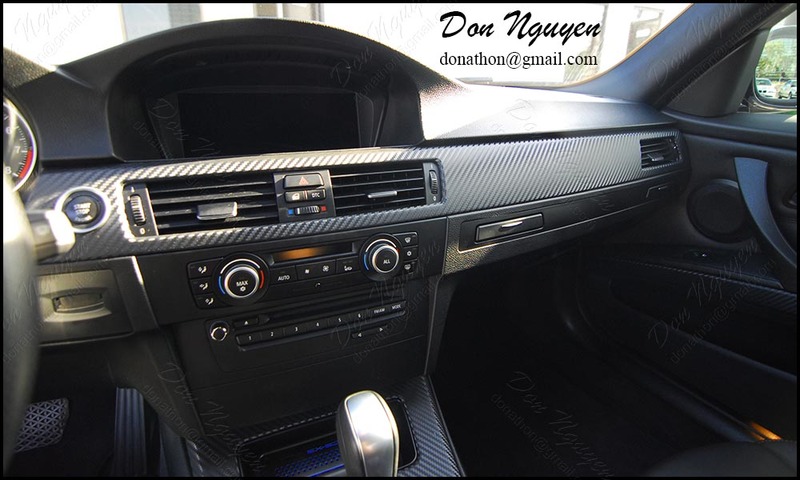 The black carbon fiber went well with the black leather interior of the car. The owner of this car was from Orange County as well, so the drive over to Anaheim Hills to get the work done was fairly easy.